Based out of the San Fernando Valley, California, Complete Network Solutions (CNS) is your end-to-end Information Technology Solution Provider. The majority of our client base is located in the Santa Clarita and San Fernando Valleys, however some clients have far reaching remote locations including Atlanta, Beverly Hills, Chicago, Dallas, Elizabeth, Fullerton, Glendale, Huntsville, Los Angeles, Manhattan, Newbury Park and Sacramento to name a few. CNS focuses on the small to medium sized companies that want to leverage the benefits of computers and technology without having to maintain an employee base of qualified professionals. 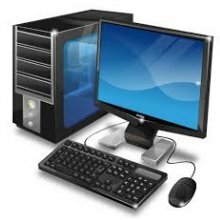 Whether it is to setup a Local Area Network (LAN), solve computer system issues, connect remote locations, establish Internet connectivity for your company or provide computer training, CNS does it all. For less than half of the cost of a single full time network administrator, CNS can provide high level professional support that makes all your headaches and worries go away. CNS will develop a degree of stability in your computer systems' infrastructure that enables future growth that your company can greatly benefit from. Contact Us now for an evaluation of your environment, so you can enjoy the benefits today's technology has to offer. Take the first step and see how CNS can optimize your infrastructure and build on your information technology to make your business more efficient and profitable. Download this for remote assistance support now. TeamViewer is a small application that can be used to share your computer for easier administration. "Seeing" what you are talking about is much easier than trying to picture it. Also, you can sit back and watch the show as we move the mouse pointer and type in what is necessary for configuration settings and installations.